From missing weapons carried onto commercial aircraft by travelers to poor vetting and training of airport screeners, the TSA is failing in its mission “in many ways” to keep flyers safe, argues The Hill opinion contributor Martin Schwartz. For one, the Homeland Security Inspector General found that TSA missed 95% of weapons carried onto airplanes by undercover investigators. Since the agency is failing to prevent many travelers from carrying forbidden items onto airplanes, the TSA announced it plans to increase highly intrusive personal frisks of passengers. The TSA also has failed to fully deploy the nearly foolproof full-body scanners. The agency’s high-level supervisors also have been fired for poor performance, which trickles down to the rank and file. This comes at a time when a record number of travelers are caught with weapons, especially firearms. Posted: January 2nd, 2018 under News Story. 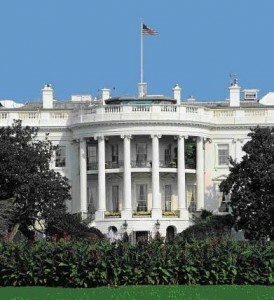 When Secret Service officials approached a man for allegedly urinating in public near the White House on Sunday morning, they found a cache of guns, knives and other weapons in the suspect’s car. CNN reports that the suspect said he was planning to go to the white House to speak with National Security Agency Director Admiral Mike Rogers and Defense Secretary James Mattis “for advice on missing paychecks and how to get the chip out of my head,” according to the incident report obtained by CNN. A search of the vehicle uncovered nine guns, three knives, ammunition, brass knuckles and suppressors. Posted: September 25th, 2017 under News Story. A Bronx man wearing a bulletproof vest and carrying two throwing knives tried getting into Trump Tower in New York to see President Trump’s daughter Ivamkqa Trump on Thursday. But Adames Benitez, 52, was quickly stopped by Secret Service after agents spotted the bulletproof vest around 4 p.m., the New York Daily News reports. The suspect told Secret Service agents he was a U.S. senator who owned the building and wanted to speak to Ivanka about her dress line. A search uncovered two throwing knives, weighted socks and a fake New York State I.D. card. Prosecutors charged the man with weapons possession and having a fake ID and was ordered to undergo a psychiatric evaluation. It wasn’t immediately clear whether the man was an imminent threat to Ivanka. Posted: July 9th, 2017 under News Story. 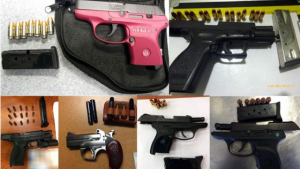 Firearms discovered by the TSA during the holiday travel period. Photo via TSA. During the busy holiday travel break, the TSA found 80 firearms in carry-on bags at airports nationwide. Of the 80 firearms, 65 were loaded, according to a weekly TSA blog. A round was chambered in 26 of the guns. TSA officials also found four tubes of gun powder in a checked bag at Sioux Falls. Officials also found grenades in checked bags at New Bern and Raleigh-Durham. Two swords were discovered in a carry-on in Atlanta. Despite the TSA’s constant reminders about banned items, travelers continue to try to carry firearms and other weapons in carry-on bags. 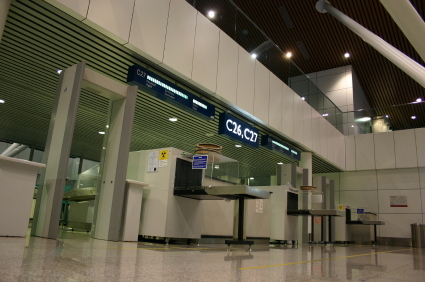 Travelers are permitted to bring firearms in their checked baggage if they declare them with the airline. From a corpse to a post-apocalyptic gas mask, the TSA has found some bizarre items from travelers in 2016. Posted: December 19th, 2016 under News Story. Posted: October 17th, 2016 under News Story.